Are you a huge fan of Dragon Ball? Well, we are going to look back on Dimp's attempt to create a new formula for Dragon Ball games! Here is our Dragon Ball Xenoverse Review! Dragon Ball Xenoverse is a fighting game which was developed by Dimps for most consoles. It was also the first Dragon Ball they made which featured full 3D battles, compared to their previous games such as Dragon Ball Z: Budokai series for the PlayStation 2. Did I mention that this was the first Dragon Ball game for PC? Dragon Ball Xenoverse is very different from the usual dragon ball games that usually recycles the storyline from the anime, movies, and manga. It is one of the most unique stories in a Dragon Ball franchise since you are not going to use any of the well-known characters in the game. Instead, you are your own character and you are going to be fighting alongside them. That alone is a dream come true for many of us. Also, you are from the future and Trunks actually summons you because some people are changing the past. You are tasked to stop the changes and revert everything back to normal. However, that is already a plot hole if you consider the whole plot of the Dragon Ball universe, even without the Dragon Ball Super Lore (the anime is not yet aired by the time this game launched). The story is actually really good and a breath of fresh air. However, I am also disappointed to see that villains do not perform each of their transformations, but it makes sense for the story since they always have to go all out. The graphics in Dragon Ball Xenoverse is actually great. The character designs stay true to the anime art style. Although, I must say Beerus looks a little creepy in this game. The cutscenes are either awesome or quite boring sometimes. There are also anime-style cutscenes which are really good. I wish there would be more cutscenes like that. I have a huge problem regarding how the maps are not destructible enough. The land reconstructs itself after a while which I think is cheap. Although, some buildings on the map can be destroyed, but only a handful of maps have buildings in it. It is already 2016 and I believe everyone wants to see permanent destructible areas in Dragon Ball games. Nonetheless, I think the backdrop is passable in most cases. There are some good features in the gameplay like a decent but quite lacking customization for your character making him really unique. There are RPG elements where you can increase your stats when you level up. You can also buy skills and clothes. However, they do not even feel impactful when you use it to an enemy. Also, most of the time, you are only using one clothes because they give added attributes. You can basically be a copycat of Goku or Vegeta or make a hybrid of them. There are some fresh elements too such as a mentoring system where Z fighters can teach you their skills. Although, it is a little boring and underwhelming, to be honest. The roster is decent, but I feel like there is something off. I mean you cannot pick Super Saiyan right off the bat for Goku and Vegeta since there is a time limit for it. It is a stupid feature. The biggest problem with this game is its combat system. Let’s be honest, most Dragon Ball games do not have good combat. It is repetitive at best, however, they can still be so much fun with that kind of combat system. However, here, it is just so annoying, for several reasons that will be later mentioned. The AI in the game is just so terribly lacking. It makes the experience less fun. They keep doing this invulnerable skill when you are cornering them so you are forcibly stopped to do your combos. It feels cheap, and it shows how pretty stupid the AI is in the game. Another cheap shot to make the AI looks so strong is by making their health three times than your current health in some missions. It may encourage grinding with the parallel quests, which is fine. However, it is just damn annoying if you have an enemy that can force your combo to stop with a cheap skill and has a huge health bar. Let’s also mention how bad the co-op AI in this game. They never do things, at all. They are so weak and when the mission commands you to protect them and you are up against 2v3; it is hard to complete the mission. Controls are very clunky and the combos are very simple and repetitive. Although, like I said, having customized skill sets are a really nice feature added to the game. Multiplayer is really bad. I have only played once, and it is because I got lucky to even enter a room at EU server. I just quit it because of the ping. If you live in a third world country like I am with a slow internet. Stay away from the multiplayer. This is one of the villains in the game, Mira. The soundtrack and sound effects in this game are all amazing. The first time I opened the game and heard the intro, the nostalgia just rushed through my veins. It is just too good. Same with the original soundtrack in the game, they are epic, as well. Sound effects have this Dragon Ball vibes to it, which is amazing. Voice acting is quite mixed, but there are really good moments in the game with the right background music. It is mixed because they actually reused some audio from their previous games and anime. But they do add their own twists to it so it can get consistent with the game. Like I said, some parts are really dull, but some scenes sound really amazing. There is not much replay value in the game, although, you may want to try out all five classes just to get a feel on how different they are from each other. Character creation is a bit generic though. I also do not like repeating the annoying parallel quests and main missions. If only the multiplayer works and the gameplay is REALLY fun, this would rate really high for me. Sadly, it is one of the weakest points of the game. 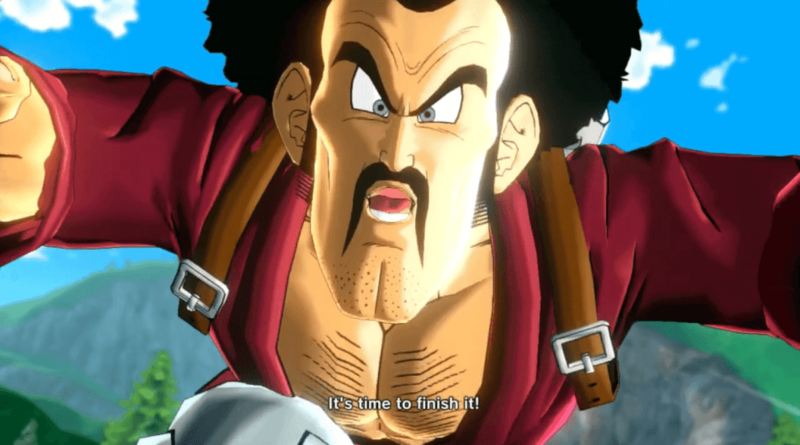 Dragon Ball Xenoverse is a really nice attempt to make a refreshing Dragon Ball game. Yes, it has flaws and annoying AI, but it is a fun game, nonetheless. You will definitely like the character creation and its customization, despite lacking in some areas. It is not your typical Dragon Ball story, which is a huge plus. The soundtrack is nostalgic as well. Sadly, the multiplayer barely works if you do not live anywhere near EU or NA server. If you can get it on a 50%-75% off sale, then get this before getting the second game.